Recreational Crab Fishing is one of the most popular recreational fisheries. Each year, sport fishers catch more than a million pounds of Dungeness crab, using pots, ring nets and – in the case of wade and dive fishers – their bare hands. All sport crabbers 15 years or older must carry a current Washington fishing license. Options range from an annual shellfish/seaweed license to combination fishing licenses, valid for a single day or up to a year. This is a great family outing. If visiting the Westport area many families fish for Dungeness and Rock crabs right off the docks at the Westport Marina. There are several ways in which to catch crab. Local businesses are happy to help you purchase crab gear and can tell you what to use to catch these crabs. Depending on your recreational crab fishing destination there are limits and size requirements. 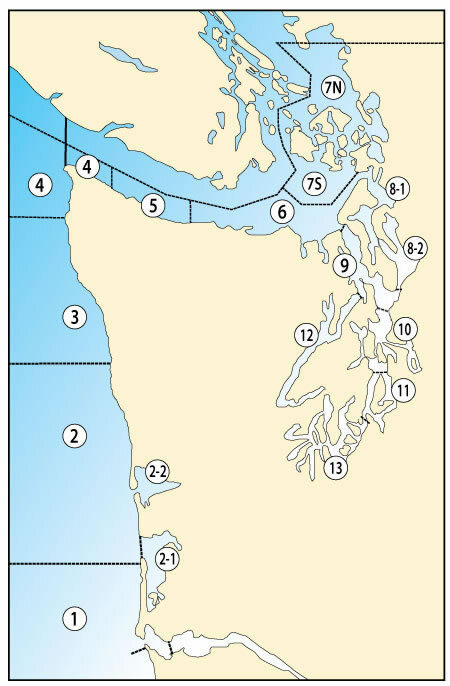 The map shows the different areas available to fish for crab. 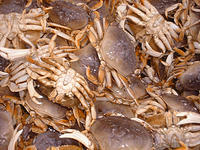 If you prefer not to go out on the ocean, the Puget Sound area offers many spots for crabbing. Rules: Dungeness and Red Rock Crab, all fishing methods. Seasons: Crab Pots: Open 1 Dec. through 15 Sept. Crab gear other than pots: Open all year. by one hour after sunset on the last day of any fishing period. Check out the tips and techniques on cleaning and preparing your fresh caught crab.